Since I find so many things that I fall in love with and want throughout the month, I decided I would put together a wishlist. I'm going to do one every month, and will add to it as the month goes on. This way I can work out the things I really want, and treat myself at the end of the month to my favourites. If you know anything about me, you will know I'm an impulse buyer. I'm constantly finding myself with things I never use, or already have 50 of (that I had totally forgotten about). I randomly find these things in a draw, which I only discover because said draw doesn't close anymore! I'm hoping my wishlist will help me save some money and make my shopping splurges feel a little more rewarding, as I will have no doubt been talking about it for a month before I actually receive the item. Lets hope this works, and I can maybe take into account the things I really want, as opposed to the things that were cool for the whole 5 seconds I looked at them. All items on my wishlist have been thoroughly thought out, and if at the end of the month I decide that I didn't really need that 100th pair of shoes, i'll make a note and pass on purchasing them. Yesterday I did one of my regular random shopping hauls whilst browsing twitter. I had spent the morning reupholstering my headboard, and decided that my room really needed new bedding (of course the 3 sets of bedding I already have aren't quite enough). Whilst trawling the internet, I found an adorable duvet cover set. I'm totally in love with it. It's the Little Mistress Lilly duvet set in natural. It arrived this afternoon with their website address on (I purchased through a third party website), so I headed over to their website to discover they have the most amazing clothes range and I want so much of it! I picked out a couple of pieces to add to my wishlist, I really want them! How beautiful is this dress! I can think of so many occasions this would be perfect for. A romantic meal, a dress for a wedding or a Christening, even a classy night out with the girls. I'm so in love! This dress is the Little Mistress Navy & Gold Embellished long sleeve fit & flare dress. by Little Mistress It's £58 and available in sizes 6 through to 18, and also in their curvy range from 18 to 24. I can totally see this dress being flattering for women of all shapes and sizes. I love the gold detail on the shoulder too, I would definitely have to team this up with some new gold shoes, which leads me on to my next item. How am I not buying these heels already? They would go perfectly with the Little Mistress dress. They are gold and glittery yet not too "in your face". Teamed up with the dress above, these heels would be perfect for a special occasion! 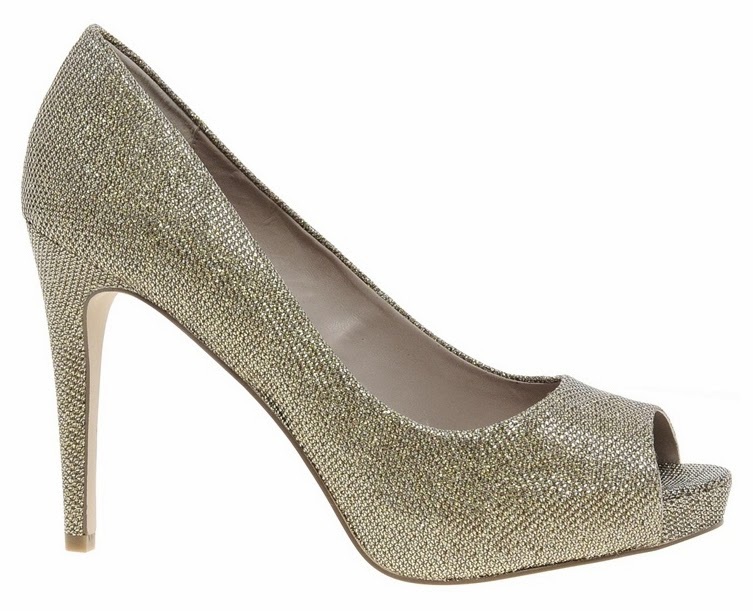 These are the Carvela Lara Sparkle heeled shoe by Asos. Currently reduced from £100 to £42. Why are they not in my shopping basket already? Argh! 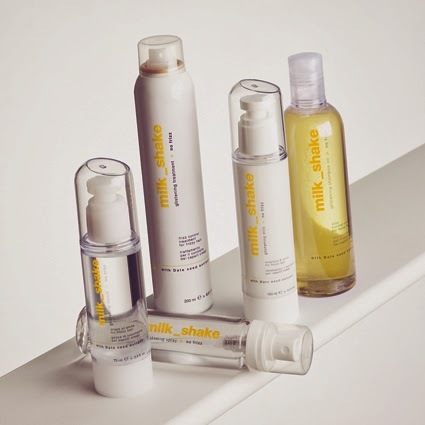 Milkshake hair products! I'm so eager to test out the milk shake products after hearing amazing reviews from so many people. I'm gutted that they are currently supplying to wholesalers only as I would love to try them. I'm going to have to try and find a way to buy these items! I would definitely team this bracelet with the Little Mistress dress. This is the Heart Christening bangle from TopShop at only £6.50. Bargain! 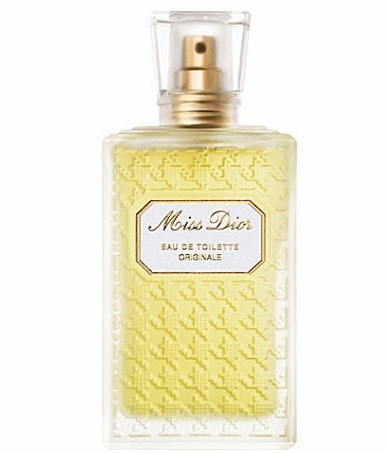 Miss Dior Original is definitely a scent I would love to wear with this outfit. Is it weird i'm already picking out a place to go wearing all of the above, yet I haven't bought any of it yet? It's strange how I can turn one dress I really want into needing to buy a full outfit with all accessories, but hey, you only live once! I smelt this perfume when I last went to Selfridges and I totally fell in love. It's £77 for a 100ml bottle, which is a pretty good price for such an amazing scent. I will update this post as and when I find new exciting items to add to my wishlist. This is it so far since today is the first day I'm restricting myself and waiting until the end of the month to pick out the things I really want. I hope you enjoy reading this, and I'd love to know what items would be on your wishlist? See By Chloe is on my wishlist rn! I love it! I love milkshake hair products, i received the leave in conditioner in a glossy box months ago and i have re-purchased it over and over! I have a Zara camel coat on my wish list - it feels like my wishlist is endless though!